What is the "rail gantry" being welded? My understanding is that after the Moose Trout Brook Bridge has been installed the two temporary bridge pieces will be removed and re-purposed to become a flat car mounted bridge crane which will pick up rails from a loaded flat car at one end and move them forward ahead of the other end. This will make building track a lot easier on us old guys who can't lift as much as we use to. Great. Can't wait to see it in action on Mtn Xtnsn! Replacing switch ties in front of the water tower. Monday 9/3 Fred cut some switch ties and brought them over to the tool house. 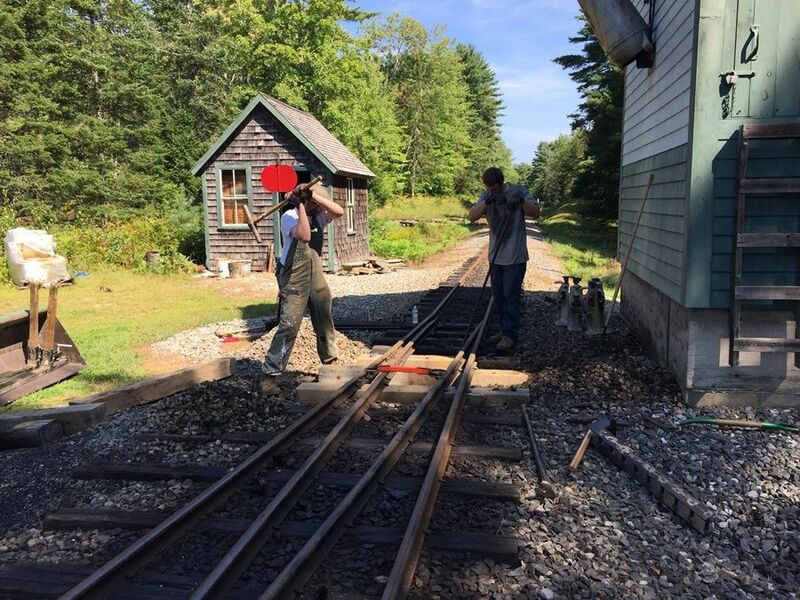 James, Brendan and I replaced 3 switch ties in front of the water tower today and dug out 7 more rails today and reorganized the "needs work" rail pile. 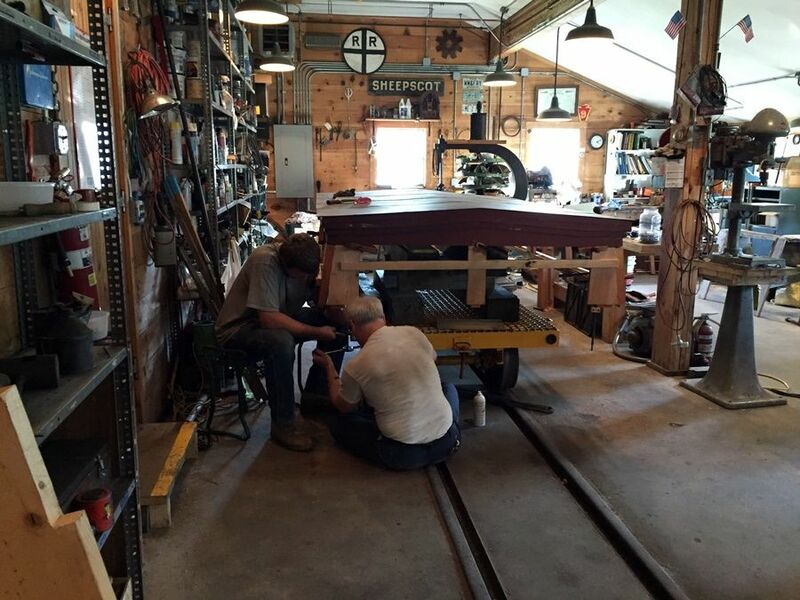 Marcel was working on the cuppola for the caboose. Thanks guys. I imagine it was not fun work during today's hot muggy weather (as seen by the waiting water bottle in the early morning sun in the top photo and Joe on the right in the second!). Greatly appreciate seeing the photos and description of the work completed today. New Trackwork by the water tower looks great. Thanks Joe and company. 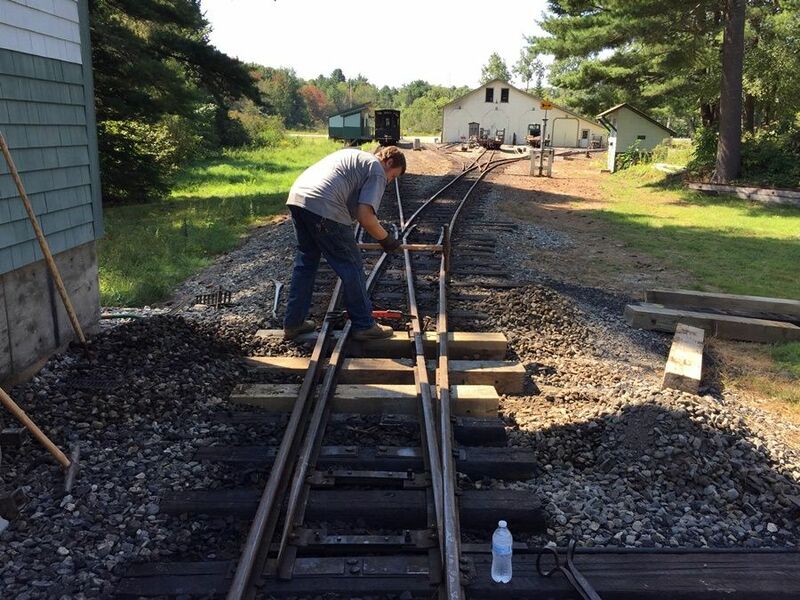 Fred and I managed to sort out 5 more rails today, then moved on to working at the bridge site. Joe, Is it your plan to stage rails in the parking lot, or to try and get them to TOM before the FWW? I guess that also begs the question is it the plan to take all the 700 ties to TOM also? Today through Friday, final big push on site work before access is blocked by the bridge. Any and all help will he appreciated. * Bridge move Saturday (probably very early morning). * Mountain Ext prep (Mike and any helpers he needs). * Operations (of course!) - including a 70-person birthday party in the PM Saturday. * Last concert on Saturday @ 5:00. I have our Contractor Jeff scheduled to help me Saturday with the installation on Location 9's 4 foot culvert. This is the last obstacle to be able to lay between 1200 and 1400 feet of track for the FWW. Sunday, I will be cutting 2 pine trees and a few small fir trees that are in my way for ditches and clearing that mess. Jeff will be removing the stumps next week. After the trees, I have a small culvert to install. Jeff is planning to backfill location 8 and 9 next week. Next weekend I start ditching north to south, hoping to finish at the access road September 29th..
* There will be a birthday party group with 70 people. 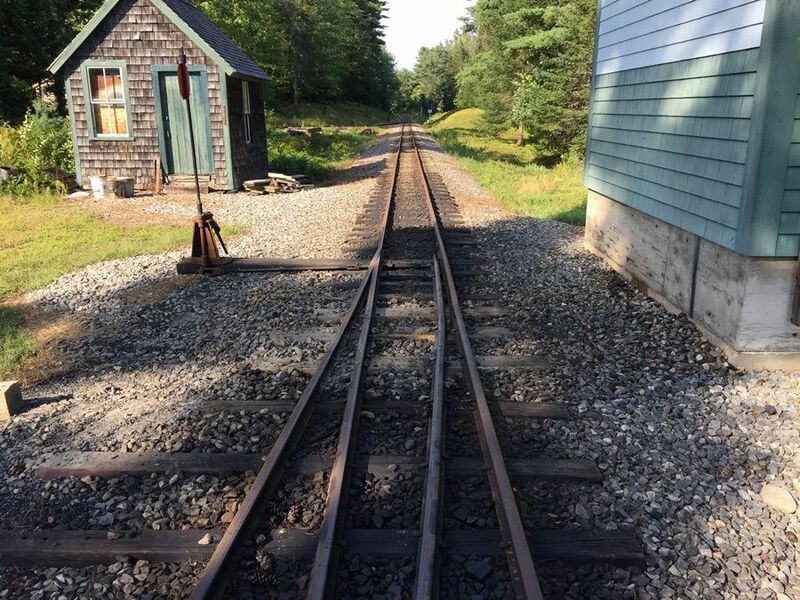 * The third concert will be Saturday evening with a special train leaving Sheepscot at 5 PM. Chairs and the snack sales table will need to be transported to AC and set up in the tent. I'll be away at a wedding this weekend so Cyndi Longo will be the point person for the concert setup/takedown.